One of the best reasons to buy a “real” camera, instead of just shooting everything with your phone, is to get more zoom. And while your choices today are more limited than in years past, there are still plenty of superzoom models to choose from. 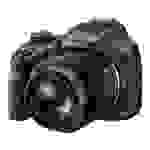 These days, camera makers including Canon, Nikon, Sony, and Fujifilm all offer models with 50x or larger zoom ratios. 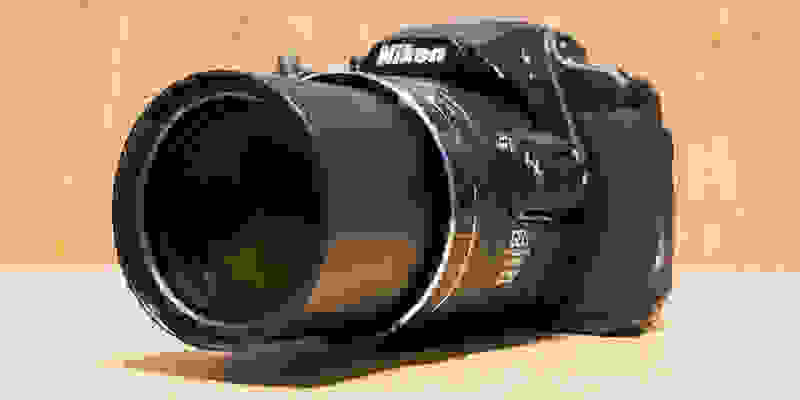 After testing hundreds of cameras in our lab, our favorite is the Nikon Coolpix B700 (available at Amazon). But a big lens isn’t a guarantee of a good camera. Image quality, video capabilities, handling, features, and of course price are all important, too. So we’ve rounded up our favorites from among today’s crop, assessed their capabilities in all arenas, and put together this handy ranking to help you find the right superzoom for your needs. 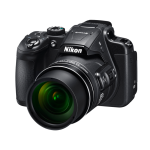 The brand-new Nikon Coolpix B700 packs an impressive range of features into a compact package. Most notable, of course, is a 60x zoom lens that’ll help you capture everything from landscapes, to portraits, to sports and wildlife. But what impressed us most about the B700 was its fit and finish, along with its snappy operation. This is a camera that feels like it's worth every bit of its $500 asking price. Compared to some rivals, the B700 wows with extras like an articulating 3-inch LCD, 4K video capture at 30fps, RAW photo capture, and Bluetooth LE for easy file sharing. The electronic viewfinder (usually awful on these cameras) isn’t a total disappointment, and the ergonomic grip is comfortably textured for all-day use. All in all, it's a winner. 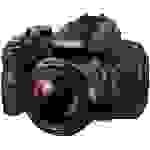 Some superzooms ape DSLR-style controls and features, hoping to capture users who want the pro look without pesky complications like changing lenses. The PowerShot SX540 HS isn’t one of those superzooms. 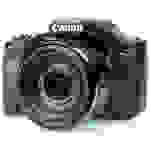 It’s a straightforward, simple camera that just happens to have a DSLR-esque grip and a big 50x zoom lens. Inside you’ll find a 20-megapixel CMOS sensor, a speedy Digic 6 processor, and WiFi and NFC connectivity for easy file sharing. The SX540 HS can shoot full HD video at 60fps, which makes it a credible dual threat. But there are downsides: The screen doesn’t flip out, which we found annoying during video shooting, and the build quality wasn't the most convincing. Still, at $399.99, it’s pretty reasonably priced. Offering a 50x zoom and 20.4 megapixels, the Cyber-shot HX400V is Sony’s flagship superzoom. Sure, the H400 has a longer reach, but this camera has all the coolest tech and can still bring all but the most distant subjects up close. It’s been in stores for a while (we first checked it out in early 2014), but it holds up to some of the newest superzooms on the market in terms of image quality and features. Oddly, though, the price hasn’t dropped much over time—there may be better values out there. Perhaps our favorite thing about the HX400V is the comfortable, DSLR-style design, with a chunky front grip and a surprisingly grippy and silky smooth focusing ring around the massive lens barrel. The body itself is pretty plasticky, but in actual use it just melts into your hand. Other nifty features include a tilt screen, built-in GPS for geotagging, WiFi, and NFC. There’s no 4K video recording, but the camera can automatically scale your still photos for 4K displays, and will record all the 1080/60p footage you like. 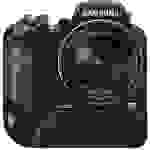 We don’t love the FinePix S1, but there’s one very good reason you might: It’s the only 50x superzoom on the market that is fully weather- and dust-sealed. If you find yourself shooting outdoors in inclement weather with any kind of regularity, that’s kind of a big deal. If you don’t, you’ll probably want to give this one a pass. 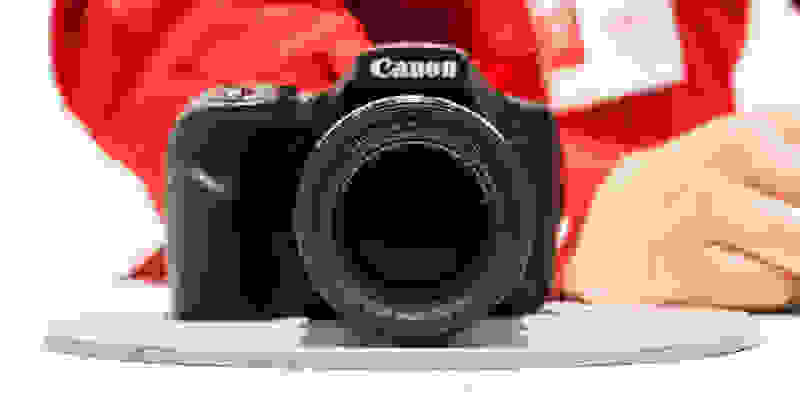 Features like a tilt screen, 5-axis image stabilization, and 10fps burst shooting are nice, but the image quality just doesn’t cut it; reviewers and users universally complained that shots are way too noisy at ISO 800 and above. The price has dropped since the S1 debuted at $500 back in 2014, but even at $370 it’s a hard sell given today’s competition. Here’s a real oddball for you. Samsung, almost completely out of the camera game these days, put out this “dual grip” 60x superzoom back in 2014. Styled like a professional DSLR (kind of a munchkin-sized Nikon D5 or Canon 1D X), it can be comfortably held in either landscape or portrait orientation. The extra grip space also provides room for a huge battery that delivers about 600 shots per charge. But don’t be intimidated by the looks: This thing is best used on full auto (though you can shoot on manual if you want). Built-in WiFi and NFC make it easy to share your shots with Android devices (especially Galaxy phones), and you can also control the camera from your phone. Still, laggy performance, a low-res screen and electronic viewfinder, and disappointingly noisy results at ISO 800 and above keep it from being an easy recommendation.